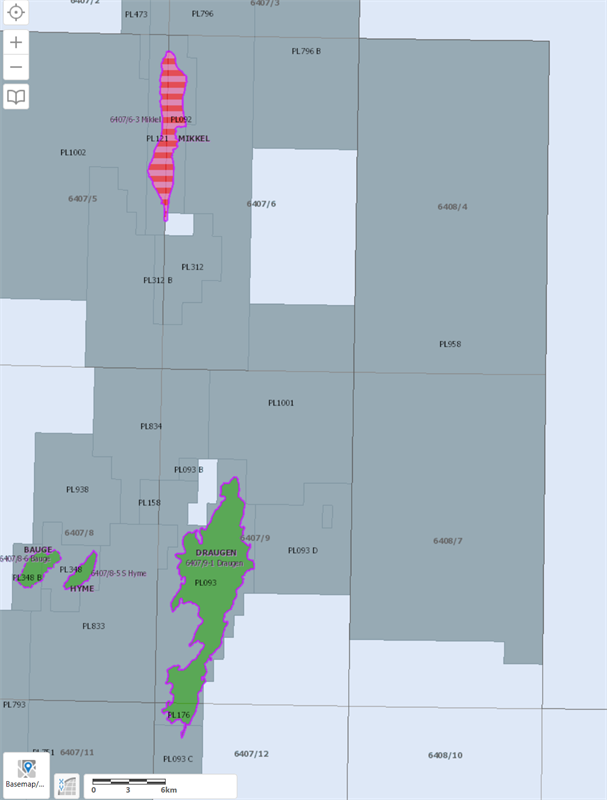 OKEA AS has taken over Shell’s 50% working interest and operatorship on Production License (PL) 958. PL958 is located on the Trøndelag Platform, 10 km east of the Draugen Field, where OKEA is operator, and east of PL1001 where OKEA is partner. The acreage is in the exploration phase and data coverage is limited. The other license partners are Neptune and Petoro, the same as on the Draugen Field. ‘’This position in PL958 strengthens our presence in the Draugen Area’’, comments Andrew McCann, SVP Subsurface in OKEA. ‘’We believe that the large license can contain a continuation of the Draugen geological trend and that there are interesting opportunities which could significantly expand the resource base for Draugen in the future. We look forward to exploring the area’’.